“If legislators want to be able to tell their constituents that they acted on drug prices this year, this is the vehicle to do it. There is nothing else with this kind of support and with this kind of impact sitting before legislators right now,” said Christine Simmon, JD, executive director of the Biosimilars Council, about the bipartisan CREATES Act. “We need all stakeholders to be all in on biosimilars…now’s the time for people to get engaged and get out there to support uptake and access,” says our guest, Juliana Reed, president of Biosimilars Forum. Our guest on this episode of "Not So Different" is Jim Van Lieshout, MBA, who joined us by phone from Colorado to discuss the many considerations that biosimilar developers must take into account when they determine how to price their products to compete in the marketplace. 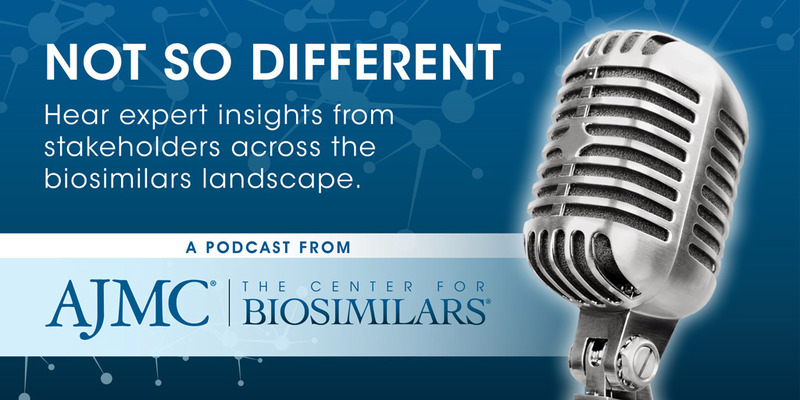 In this innaugural episode of "Not So Different," you’ll hear expert viewpoints on the issue of interchangeability from stakeholders across the biosimilars landscape.